The route to Crystal Mill (located in Crystal, Colorado) is challenging, but worth the hike or drive, for an experienced driver with 4-wheel drive. 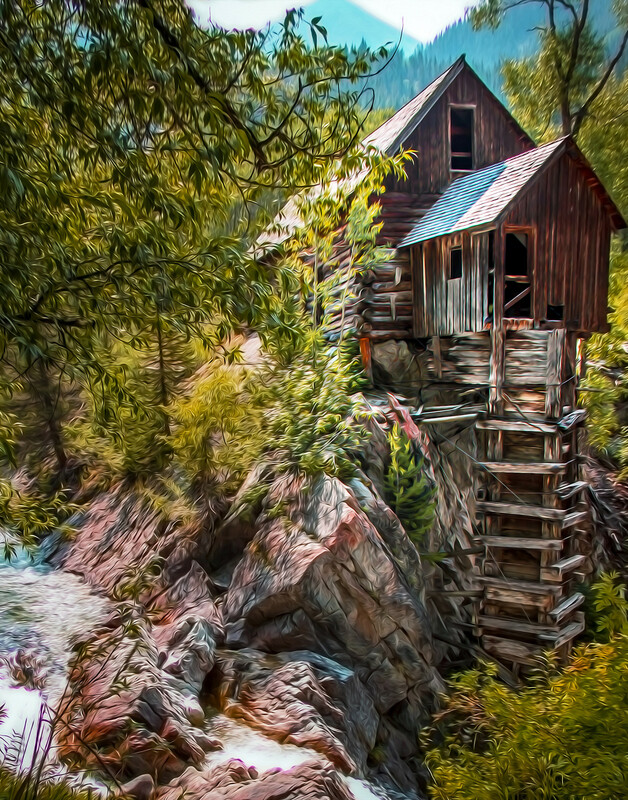 Crystal Mill is one of the most photographed places in Colorado, but proper planning is important before making this journey. This photo is an artistic creation enhancing the colors of the surrounding rocks and foliage.